How many hours per day do you spend looking at your phone? 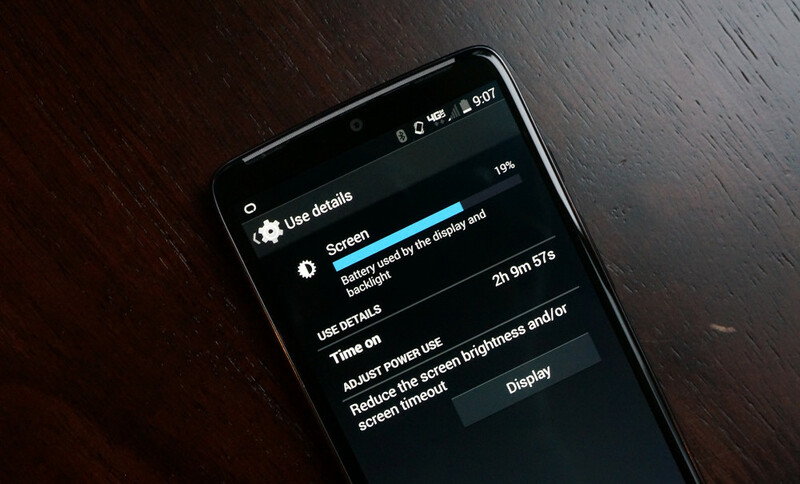 That’s essentially what we are looking for when we ask, “What is your typical screen on time in a day?” Actually, it’s deeper than that, because it’s a metric (if you can call it that) that we look at while doing reviews to give you a sense of the battery life we are getting with a particular device. I can tell you that I average around two hours of screen on time per day, but that can jump up to three or four hours during a review period. I would consider myself to be a pretty average user, since I sit at a computer doing most of my work during the day, with the phone acting as a sidekick until it becomes my main computing device at night. But I know that many of you are using your phones for everything, from the minute you wake up until the minute you lay your head on a pillow. With that type of use, I can imagine that five hours could be average. So, let’s find out what the official Droid Life average is for screen on time. For those new, you can find screen on time by jumping into Settings>Power/Battery and then tapping on “Screen” in the list of items gobbling up battery power.